MHT CET Answer Key 2017 will be published by the admission committee of Directorate of Technical Education (DTE) Maharashtra tentatively in the month of May 2017. The applicants will be able to access the MHT CET answer key only in online mode. Using the MHT CET 2017 answer key, the applicants will be able to calculate their probable secured scores in the examination. Comparison of the correct answers can be done with the recorded responses of the applicant. Following this method, the applicants will be able to estimate their scores secured in MHT CET 2017. The answer key of MHT CET 2017 will be available for download in this article as soon as it is released officially by the admission committee. The question booklet will also be published after the entrance examination is over. The examination of MHT CET 2017 will be held on May 11, 2017. The applicants will be required to register themselves between February 14 to March 23, 2017. The MHT CET 2017 answer key will be released online in May 2017 after the end of the entrance examination. 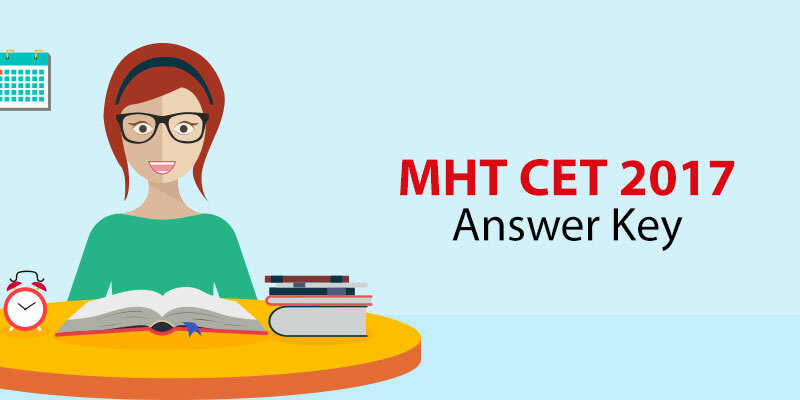 The applicants will be able to know their scores by using MHT CET Answer Key 2017. Using the estimated scores,the applicants will be able to figure out their ranking and the list of college which will be willing to accept the applicant’s secured scores for admission. The performance of the applicant can also be analyzed by using the MHT CET answer key 2017. MHT CET Answer Key 2017 will be available here as soon as it is officially published. The applicants will have to compare the correct answers with their answers in the entrance examination. While tallying, the applicants will have to keep the numbers in mind and calculate the final scores. The applicants will have to make sure that they follow the marking scheme of MHT CET 2017.